Roseanna is an accomplished musician and can play your favourite songs as you glide down the aisle or as you take your first dance together. 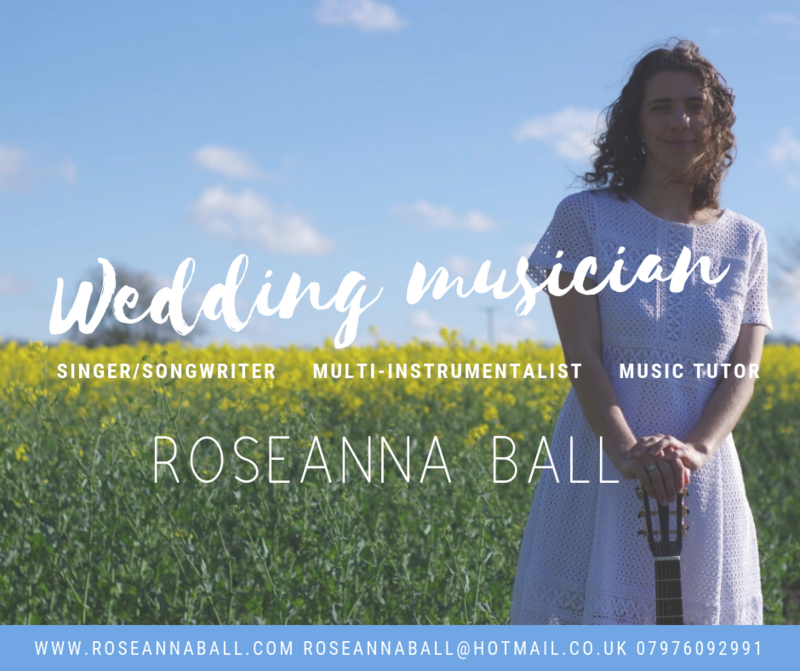 With over 10 years of experience both teaching and performing on stage, Roseanna can play both either with or without vocals and tailor a set around your musical taste on a wide variety of instruments. Based in North Devon, prices start from £50 so get in touch today for a tailored quote to suit your big day.